Dallas, TX (March 29, 2017) – EARTHxFilm, presented by Earth Day Texas (EDTx), today announced the full slate of films, presentations, and panels for the environmentally focused film festival’s debut at Fair Park in Dallas, Texas on April 20-23. Jeff Orlowski’s CHASING CORAL will be the Opening Night selection for a Gala Presentation on Thursday, April 20, complete with a Green Carpet at the Music Hall at Fair Park (909 1st Avenue). Among the 18 feature films, 33 shorts, 5 virtual reality (VR) projects, and 6 works in progress, are films exploring highly charged topics such as the state of the oceans and rivers, our food and water sources, clean energy, GMOs, sustainable farming, overwhelming plastic pollution, threats to our national security due to rising sea levels, and more. Orlowski’s award-winning CHASING CORAL follows the filmmaker’s devastating documentary CHASING ICE (2012) which created irrefutable, visual proof of the melting ice caps, with another startling look at the status of one of the world’s most important ecosystems. Coral reefs are the nursery for all life in the oceans, a remarkable ecosystem that sustains us. Yet with carbon emissions warming the seas, a phenomenon called “coral bleaching”—a sign of mass coral death—has been accelerating around the world, and the public has no idea of the scale or implication of the catastrophe silently raging underwater. The film serves as a clarion call to do something before it gets too late. In addition to two previously announced high profile titles that premiered at the Sundance Film Festival (Laura Dunn and Jef Sewell’s LOOK AND SEE: A PORTRAIT OF WENDELL BERRY, Susan Froemke and John Hoffman’s RANCHER, FARMER, FISHERMAN), other notable films presented during the inaugural edition of EARTHxFilm include; Oscar nominated director Scott Hamilton Kennedy’s FOOD EVOLUTION, which looks at the controversy surrounding GMOs and food in a film narrated by Neil deGrasse Tyson; Roger Williams and David Mcllvride’s RIVERBLUE, which features international river conservationist, Mark Angelo, and is narrated by Jason Priestley in a groundbreaking documentary examining the destruction of our rivers, its effect on humanity, and possible solutions to a dire situation; Jon Betz and Taggart Siegel’s award-winning SEED: THE UNTOLD STORY, which follows passionate seed keepers (including farmers, scientists, and lawyers) fighting to protect the world’s 12,000 year-old food legacy from biotech chemical companies attempting to control the majority of our seeds – and thus, the food we are allowed to eat; and Roger Sorkin’s TIDEWATER, which looks at how the U.S. military is fighting to save its highest concentration of bases from sea level rise, attempting to solve one of the greatest challenges to our national security and economic prosperity the nation has ever faced. Free outdoor screenings include Bill Kroyer’s FERNGULLY (1992), the animated tale about the fight by the magical inhabitants of a rainforest to save their home, and David Lowery’s hit live-action updating of the Disney classic, PETE’S DRAGON. Fans of 70s kitschy horror, will get a kick out of George McCowan’s FROGS (1972), where a wealthy patriarch (Ray Milland) and his family see his birthday celebration on an island estate interrupted by killer amphibians, birds, insects, and reptiles. EARTHxFilm will also feature a number of special screenings and works in progress highlighted by; Rameen Aminzadeh’s BIGGER THAN WATER, produced in Dallas, about the efforts of Flint, Michigan’s residents to fix their contaminated water systems that a politically negligent system created; a sneak peak of 15 minutes of Shannon Service and Jeff Waldman’s THE GHOST FLEET, with producer Jon Bowermaster in attendance, which will combine film footage and a panel discussion focusing on the connections between the decline of fishing stocks and human trafficking via the forced labor of commercial fishermen; Jamie Redford’s HAPPENING, about the filmmaker’s colorful personal journey into the dawn of the clean energy era as it creates jobs, turns profits, and makes communities stronger and healthier across the US; and Beau Ethridge and Daniel Nanasi’s WHERE’S THE FOOD? (WTF? ), which will also combine key clips and footage from their film, and a panel discussion by the principals featured in the film, about the sustainable solutions to the food deserts plaguing Dallas, Texas, where 500,000 people are food insecure. Virtual Reality (VR) will have a major presence at the film festival, with projects set for EARTHxFilm including; Jessie Hughes’s AMOR DE ABUELA – A GRANDMOTHER’S LOVE, which shows how a Guatemalan family’s life is transformed when their grandmother gains access to electricity and light; Sarah Hill’s “ARE YOU LISTENING?” Congo – Amazon, which is a multi-chapter video experience that combines immersive journalism with stories about how energy poverty is threatening lives in eastern Congo and sacred lands of the indigenous people in the Amazon; Jeff Orlowski’s CHASING CORAL: THE VR EXPERIENCE, a powerful extension of Orlowski’s documentary under the same title, about the quest of a group of filmmakers and ocean scientists to provide visual proof of climate change; Cascade Game Foundry SPC’s INFINITE SCUBA VR, which takes you on a virtual dive in Belize with legendary oceanographer Dr. Sylvia Earle; and Sophie Ansel’s OUT OF THE BLUE, which puts the viewer within the world of a family of fishermen in Mexico as they sacrifice their livelihood to save open ocean sea life from overfishing. Festival passes and tickets are on-sale now. For more information, please go to earthxfilm.org. THE AGE OF CONSEQUENCES investigates the impacts of climate change on increased resource scarcity, migration, and conflict through the lens of US national security and global stability. In the vast wilderness of Alaska, the earth is changing, threatening the history and culture of native peoples, natural landscapes, and the habitats of wild life. BETWEEN EARTH AND SKY examines how climate change is rapidly affecting Alaska, and will soon affect us all. Venturing into the wilds of China, BORN IN CHINA captures intimate moments with a panda bear and her growing cub, a young golden monkey who feels displaced by his baby sister, and a mother snow leopard struggling to raise her two cubs. To some, the ocean is a fearsome and dangerous place. But to others, it’s a limitless world of fun, freedom and opportunity where life can be lived to the full. A new documentary presented by Patagonia and directed by Keith Malloy, FISHPEOPLE tells the stories of a unique cast of characters who have dedicated their lives to the sea. From surfers and spear fishers to a former coal miner and a group of inner city kids in San Francisco, it’s a film about the transformative effects of time spent in the ocean—and leaving our limitations behind to find deeper meaning in the saltwater wilderness that lies just beyond the shore. From Academy Award® nominated director Scott Hamilton Kennedy (THE GARDEN, FAME HIGH, OT: OUR TOWN) and narrated by esteemed science communicator Neil deGrasse Tyson, FOOD EVOLUTION is set amidst a brutally polarized debate marked by fear, distrust and confusion: the controversy surrounding GMOs and food. A group of hapless victims celebrate a birthday on an island estate crawling with killer amphibians, birds, insects, and reptiles. LOOK AND SEE: A PORTRAIT OF WENDELL BERRY is a cinematic portrait of farmer and writer Wendell Berry. Through his eyes, we see both the changing landscapes of rural America in the era of industrial agriculture and the redemptive beauty in taking the unworn path. Mr. Meacham (Robert Redford), a woodcarver, delights local children with stories of a mysterious dragon that lives deep in the woods of the Pacific Northwest. His daughter Grace (Bryce Dallas Howard) believes these are just tall tales, until she meets Pete (Oakes Fegley), a 10-year-old orphan who says he lives in the woods with a giant, friendly dragon. With help from a young girl named Natalie (Oona Laurence), Grace sets out to investigate if this fantastic claim can be true. A PLASTIC OCEAN brings to light the consequences of our global disposable lifestyle. An international team of adventurers, researchers, and ocean ambassadors go on a mission around the globe to uncover the shocking truth about what is truly lurking beneath the surface of our seemingly pristine ocean. From the Montana Rockies to the Kansas wheat fields and the Gulf of Mexico, families who work the land and sea are crossing political divides to find unexpected ways to protect the natural resources vital to their livelihoods. An official selection of the 2017 Sundance Film Festival and narrated by Tom Brokaw, RANCHER, FARMER, FISHERMAN is the next chapter of conservation heroism, deep in America's heartland. Following international river conservationist, Mark Angelo, RIVERBLUE spans the globe to infiltrate one of the world’s most pollutive industries, fashion. Narrated by clean water supporter Jason Priestley, this groundbreaking documentary examines the destruction of our rivers, its effect on humanity, and the solutions that inspire hope for a sustainable future. Few things on Earth are as miraculous and vital as seeds, worshiped and treasured since the dawn of humankind. Award winning documentary, SEED: THE UNTOLD STORY, follows passionate seed keepers protecting our 12,000-year-old food legacy. In the last century, 94% of our seed varieties have disappeared. As biotech chemical companies control the majority of our seeds, farmers, scientists, lawyers, and indigenous seed keepers fight a David and Goliath battle to defend the future of our food. In a harrowing and heartening story, these reluctant heroes rekindle a lost connection to our most treasured resource and revive a culture connected to seeds. Used once and tossed, billions of plastic straws wind up in landfills and streets finding their way to oceans. Actor Tim Robbins narrates the history and story of STRAWS, and marine researchers, citizen activists, and business owners discuss how it's possible to make a sea of change, one straw at a time. In Hampton Roads, Virginia, the U.S. military is fighting to save its highest concentration of bases from sea level rise, attempting to solve one of the greatest challenges to our national security and economic prosperity the nation has ever faced. A gripping documentary that explores the plight of endangered sea turtles, with particular focus on efforts by the Sea Shepherd Conservation Society to protect threatened species of sea turtles in Costa Rica. Paul Watson in attendance. WILD WAYS: CORRIDORS OF LIFE explores the cutting edge of Conservation Biology to discover how the world's parks and preserves can be connected and better function as the last enclaves of wild nature. The world’s iconic wildlife – lions, tiger, elephants, wolves, and grizzly bears - are in danger of extinction because parks around the world have become islands in a human dominated landscape. WILD WAYS probes a promising solution to the fragmentation of wildlife habitat – Connectivity Conservation. Clean water is supposed to be every American’s birthright, but when Flint city officials fail to properly treat a vital water system, and state officials follow suit, residents fight to fix their vital lifeline and thwart the effects that apolitically negligent system created. Tens of thousands of commercial fishermen around the world are slaves, sold into forced labor by greedy companies looking to save as fishing stocks decline and human trafficking booms. Filmmaker Jamie Redford embarks on a colorful personal journey into the dawn of the clean energy era as it creates jobs, turns profits, and makes communities stronger and healthier across the US. Unlikely entrepreneurs in communities from Lehi, UT to Georgetown, TX to Buffalo, NY reveal pioneering clean energy solutions while Jamie’s discovery of how clean energy works, and what it means at a personal level, becomes the audiences' discovery too. Reaching well beyond a great story of technology and innovation, HAPPENING explores issues of human resilience, social justice, embracing the future, and finding hope for our survival. Filmmaker and activist James Brundige will lead a workshop on Nature Needs Half - a global movement to protect and interconnect half of all the planet’s ecosystems – land and water – for the good of all life on earth. As the best science and traditional wisdom show us that existing global conservation goals are far too low to maintain a healthy and prosperous planet, Brundige and Media 186 are launching a Nature Needs Half Web Channel at Earth Day Texas. This is a bold, media–driven initiative to galvanize public audiences, conservation groups, philanthropists and governments to address the global biodiversity crisis at scale. Using film and social media for strategic impact, Nature Needs Half will promote a strikingly different relationship between people and nature to ensure a bountiful wild legacy for generations to come. What happens when an artist, a scientist, and a conservationist explore the planet to study the impact of climate change on indigenous people? Mythology, history, art, and culture turn climate change into more than just a series of statistics. RIDGE TO REEF is a series of short documentary style films that focus on ancient wisdom as it relates to care for the oceans and our spaceship earth. In hopes that we find a way to curb our greatest challenge, survival. Jeremy McKane and Markus Reymann in attendance. Panel and clips to discuss the impact of climate change in the South Pacific. A film about the sustainable solutions to the food deserts plaguing one of the wealthiest cities in the US where 500k people are food insecure. A woman is running through the forest as the first snow falls. A little girl is distracted by a falling leaf. A group of kids ask the military to help them save the rainforest. A gritty memory of the Lost Pines forest destroyed in the 2011 Bastrop County Complex forest fire. The feeding habits of the common chameleon. Impressions: Why do you think rainforests are important? Garner Fine Arts Academy (Grand Prairie, Texas) students dance to promote rainforest conservation. Impressions: Do you know what percentage of the world is covered by rainforests? A small group of Ecuadorians are buying up remaining land in the Choco Rainforest of Ecuador, so community members have developed a sustainable way of growing cacao. A new model of conservation is emerging that values the role of local communities in Monarch Butterfly Biosphere Reserve in Michoacán, Mexico. Introduction to Rainforest Partnership’s mission and its work in the Amazon. Impressions: What do you think we can do to protect rainforests? A Guatemalan family’s life is transformed when their grandmother gains access to electricity and light. A multi-chapter video experience that combines immersive journalism with stories about how energy poverty is threatening lives in eastern Congo and sacred lands of the indigenous people in the Amazon. Shot with virtual reality cameras and stitching equipment powered in part by solar energy, Are You Listening transports people near Riwindi, Congo, atop Mount Nyiragongovolcano and the Tapajos River in the Amazon Basin. There, users have the opportunity to experience daily life to better understand how not having electricity is dangerous park rangers, the Munduruku people and the places these guardians of the forest are trying to protect. 1.3 billion people worldwide lack access to electricity. More power from the sun hits the earth in one hour than humanity uses in an entire year. These stories allow people to step inside a world they would not normally get to see and better understand what’s at stake if these communities don’t get access to reliable power. This remarkably sobering VR is the powerful result of Jeff Orlowski’s project of the same name in documentary competition, about the quest of a group of filmmakers and ocean scientists to provide visual proof of climate change. This exclusive underwater experience follows Zackary Rago, a passionate scuba diver and researcher, as he documented the unprecedented 2016 coral bleaching event at Lizard Island on the Great Barrier Reef off the coast of Australia. Do a virtual dive in Belize with legendary oceanographer Dr. Sylvia Earle. A family of fishermen in Mexico sacrifices their livelihood and saves open ocean sea life from overfishing. Narration by Sylvia Earle. Launching April 20-23, 2017 at Earth Day Texas, EARTHxFilm showcases films and emerging media that explore conservation, climate change, and the environment while honoring the heroes working to protect our planet. Our mission is to turn awareness into action, through art and media. We achieve our goals by partnering with top environmental, film and entertainment organizations across the globe. 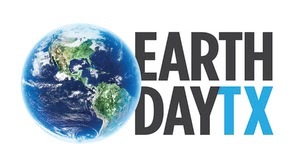 As a 501(c)(3) nonprofit organization focused on environmental education and awareness, Earth Day Texas (EDTx) has created the world’s largest annual forum for sharing the latest initiatives, discoveries, research, innovations, policies and corporate practices that are reshaping the future. Founded in 2011 by Dallas-based environmentalist, philanthropist and businessman Trammell S. Crow, EDTx promotes environmental awareness by curating an atmosphere for conscious business, nonpartisan collaboration and community-driven sustainable solutions. Attendees can also enjoy outdoor experiences, live music, environmentally themed films and art exhibits, beer and food pavilions, family activities and more. Last year’s EDTx exposition at Fair Park showcased more than 700 exhibitors and 250 speakers, with more than 130,000+ attendees enjoying the free, three-day event. For more information, visit http://www.earthdaytx.org.